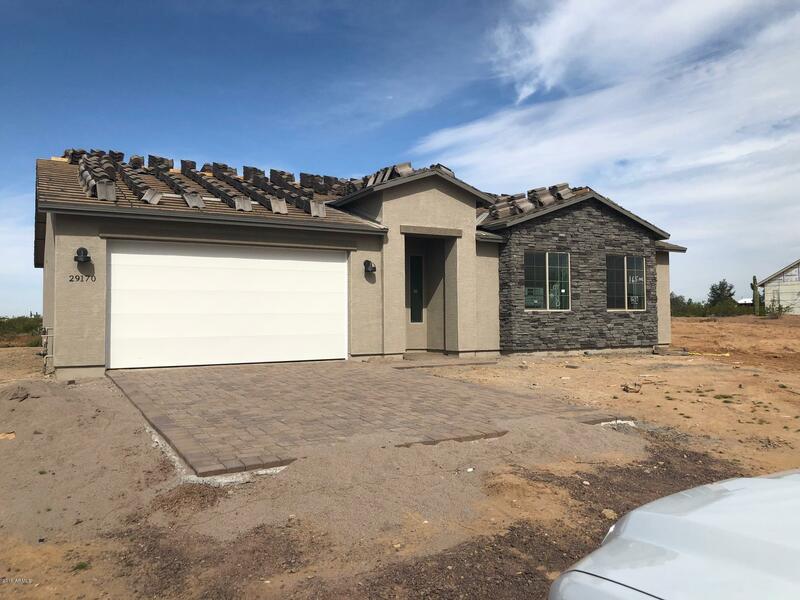 All ALEXANDRA POINTE RURAL SU homes currently listed for sale in Surprise as of 04/23/2019 are shown below. You can change the search criteria at any time by pressing the 'Change Search' button below. "Don't miss opportunity to buy one of our newest plans. This 3 bed 2 bath home with an attached 60' by 24' RV garage situated on 1 acres in Surprise. This home features a place to live and keep your toys garaged'. Inside the home comes 100% all wood plank tiles upgraded white shaker cabinets with soft close doors and drawers, granite counter tops at kitchen and baths. This home is ready for a new owner! ***pictures are of similar plan, actual floor plan is attached***"
"Here is a great opportunity to buy a new home. 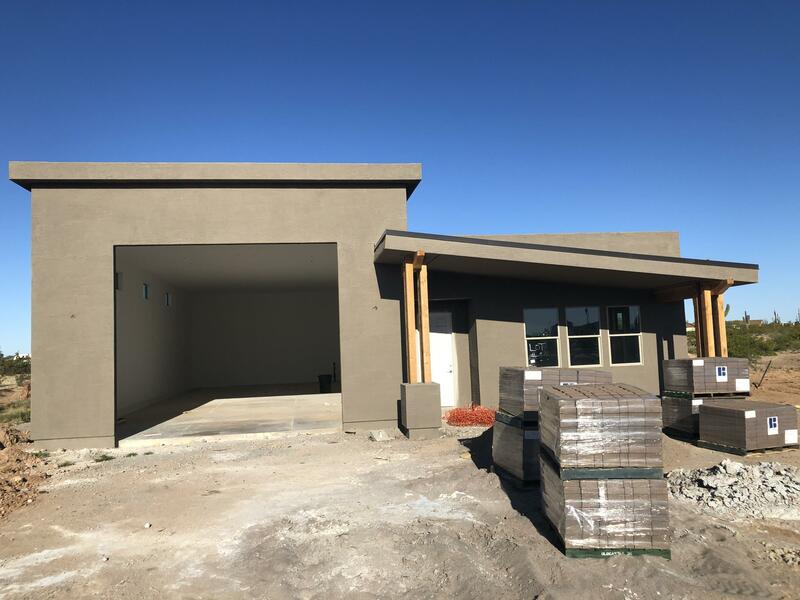 This is a fantastic price for this 3 bed/2 bath new single story, split floor plan model is thoughtfully designed, constructed and centered around comfortable, flexible living and entertaining. The great room and adjoining kitchen plus dining area accent the generous living space. 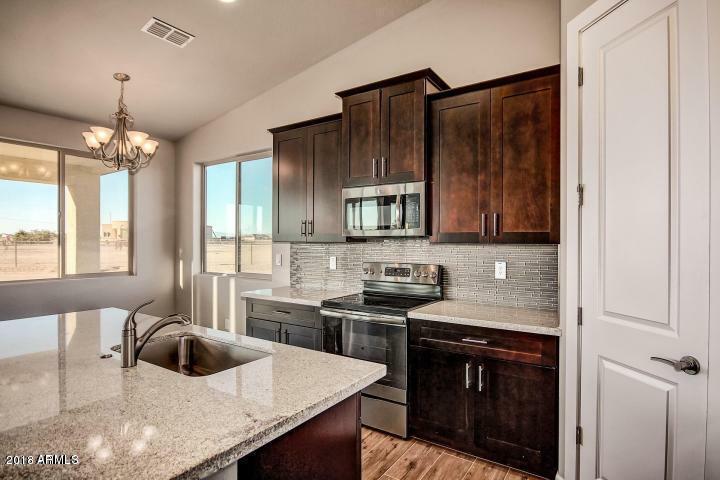 The designer chef kitchen features stainless steel GE appliances, shaker cabinets (soft close drawers & doors), granite countertops, walk in pantry and the oversized ce"
"Here is a great opportunity to buy a new home. This is a fantastic price for this 3 bed/2 bath new single story, split floor plan model is thoughtfully designed, constructed and centered around comfortable, flexible living and entertaining. The great room and adjoining kitchen plus dining area accent the generous living space. The designer chef kitchen features stainless steel GE appliances, expersso shaker cabinets (soft close drawers & doors), granite countertops, walk in pantry and the ove"